I recently authored an article with my Dad about living with Parkinson’s. You can find it here: Parkinson’s Article. It’s been important to my Dad that he shares what it’s like to live with this disease. As his body and mind stop functioning as he’d like, he wants to make a difference by helping others to understand. We also wrote a children’s book last year. You can find on Amazon.com at this link: Children’s Book. 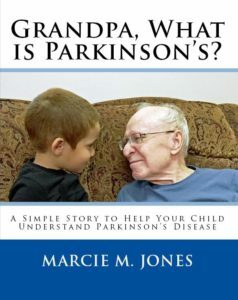 Whichever you choose to read, I hope that you are able to learn something about this crazy disease that will help you to better understand your loved one with Parkinson’s.